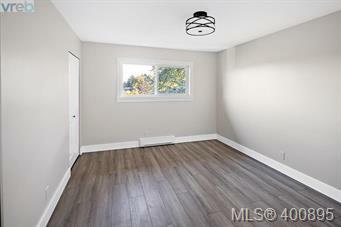 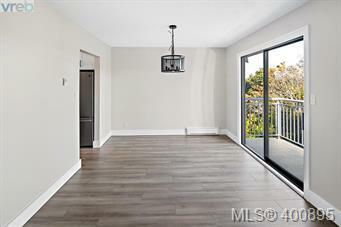 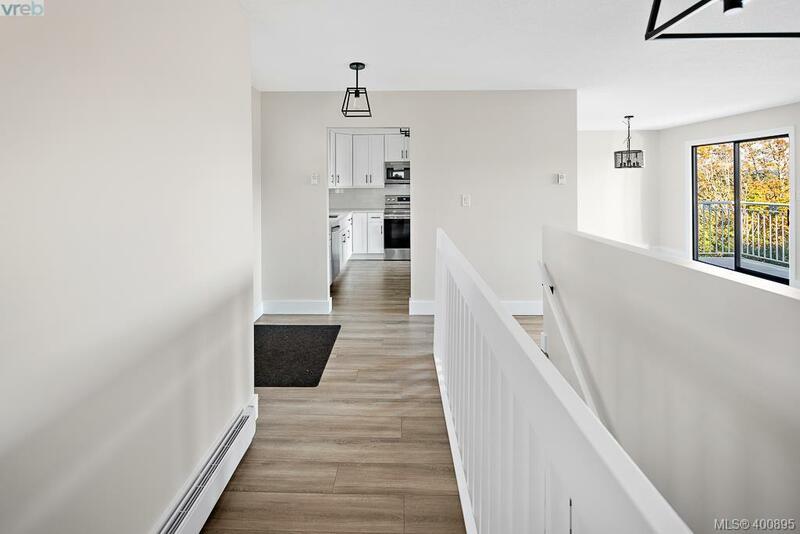 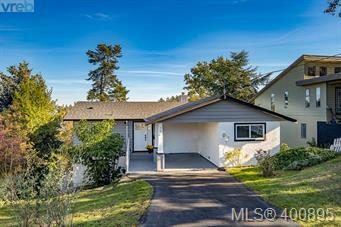 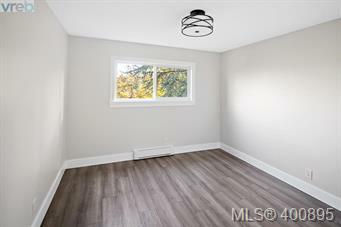 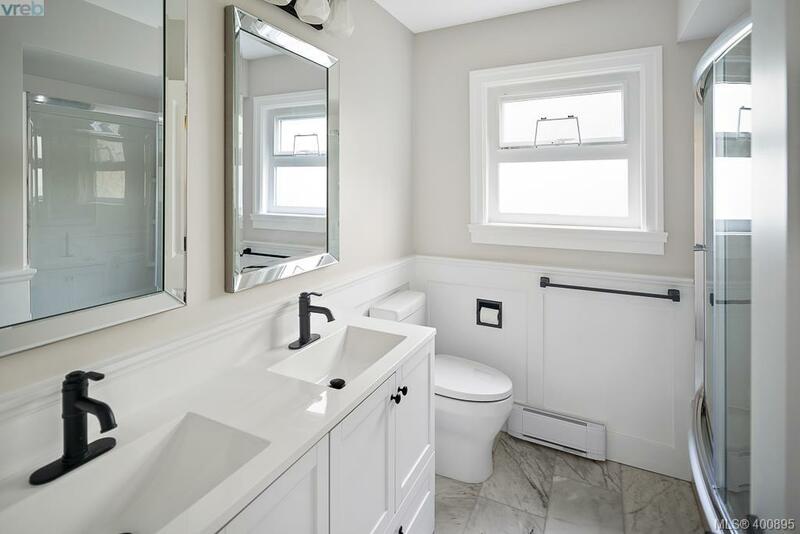 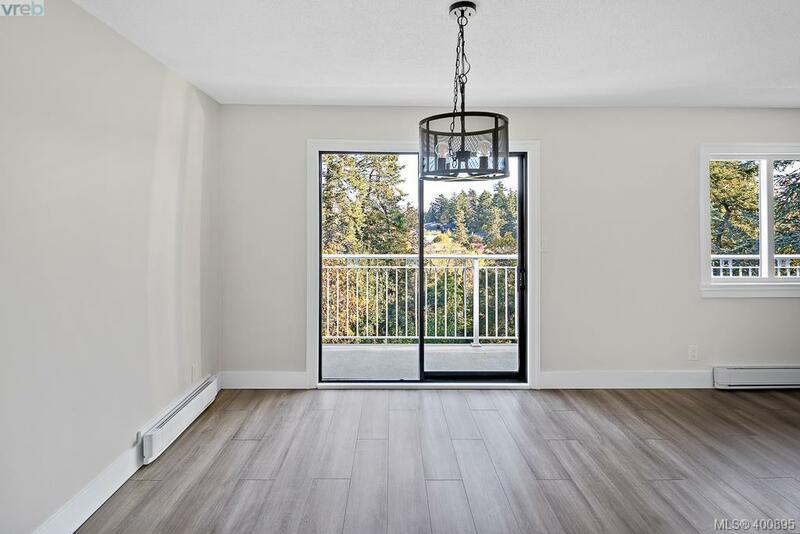 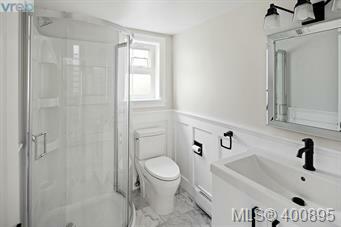 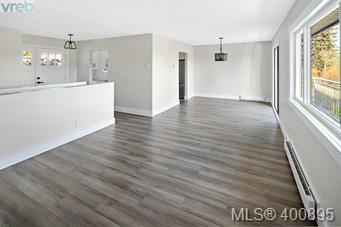 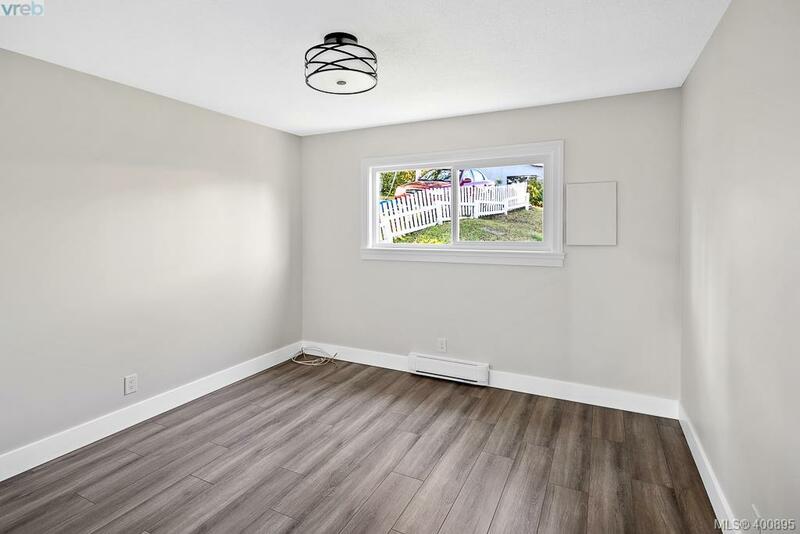 Here is a fantastic opportunity to own a tastefully updated home in an peaceful, up and coming neighbourhood. Situated at the end of a cul-de-sac, this turn key home awaits its next owner. 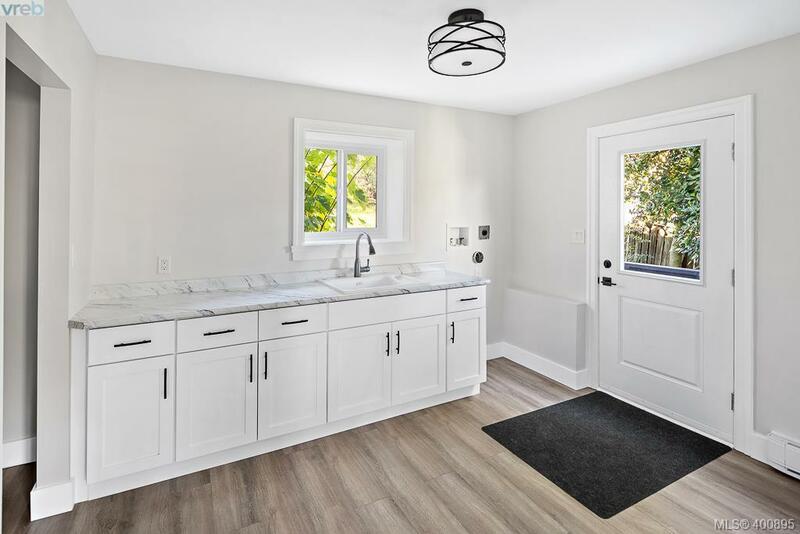 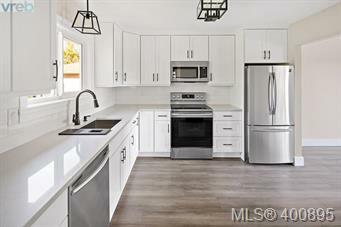 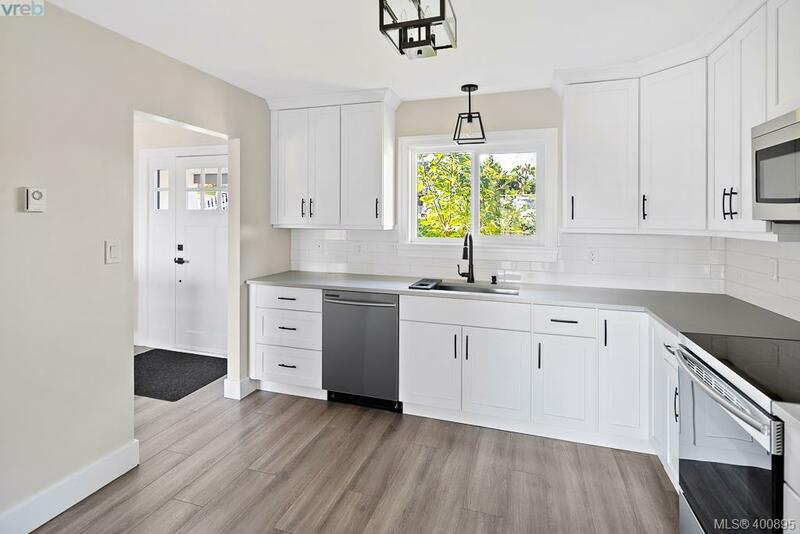 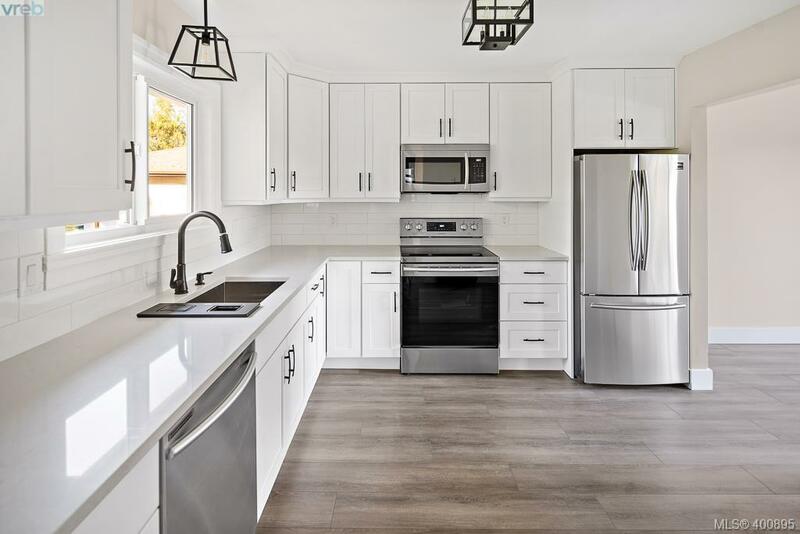 Beautiful timeless white cabinetry and stainless steel appliances in the functional new kitchen. 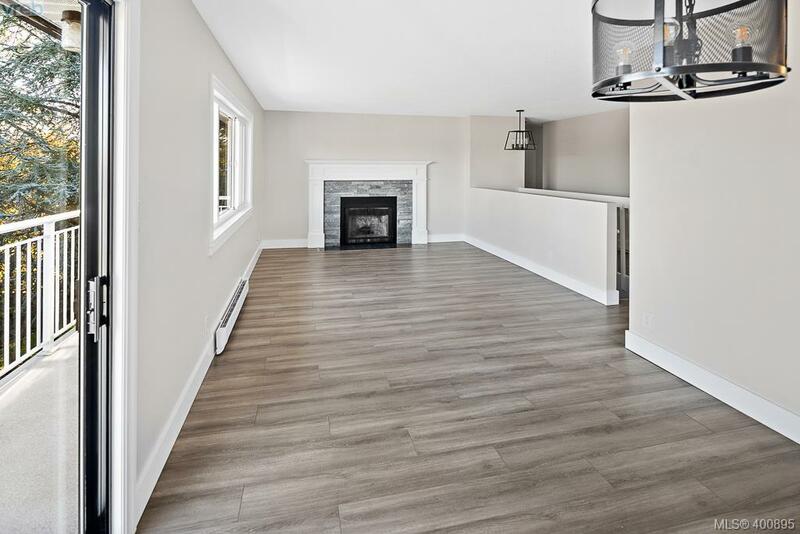 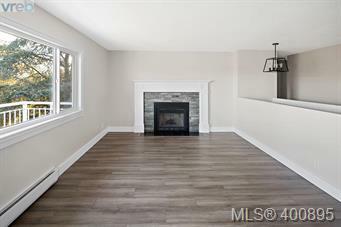 Spacious dining and living room combo with a cozy wood burning fire place. 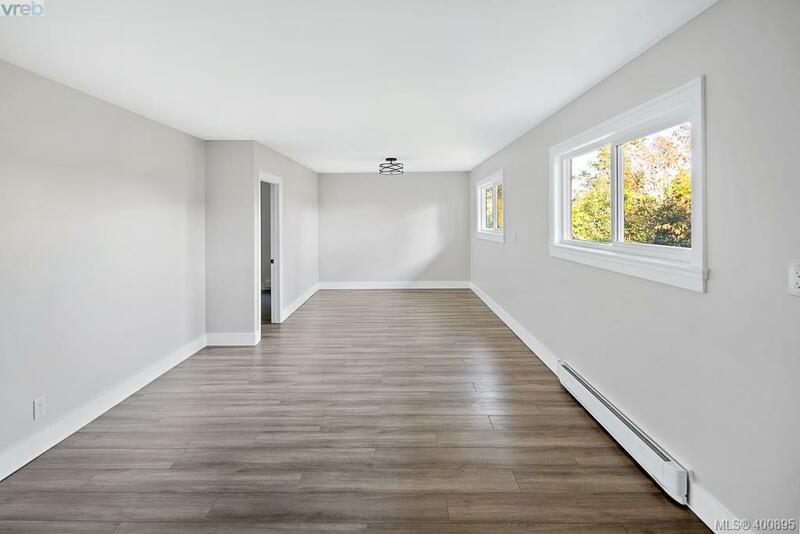 This home has a new roof, new gutters, new windows, new flooring throughout, new bathrooms and the home has been freshly painted inside. 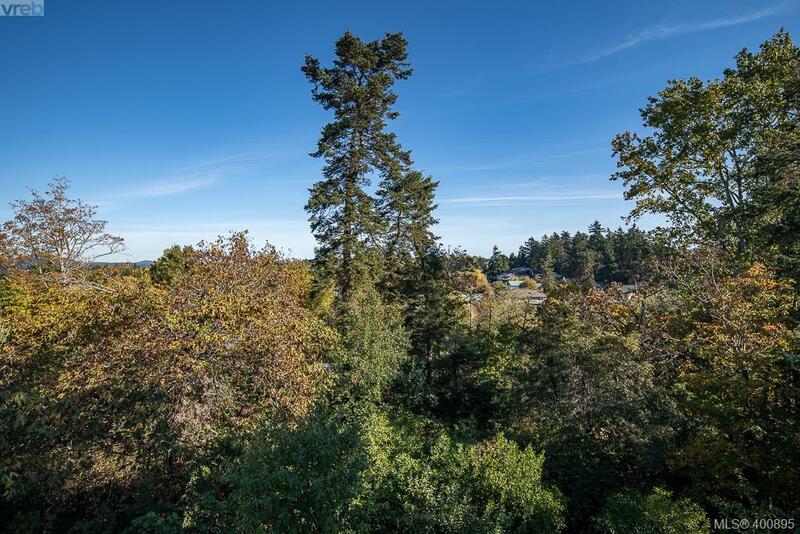 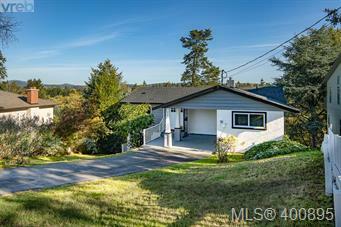 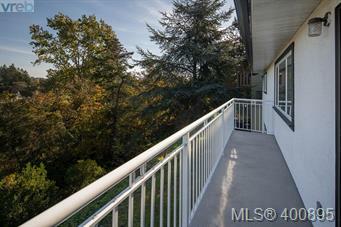 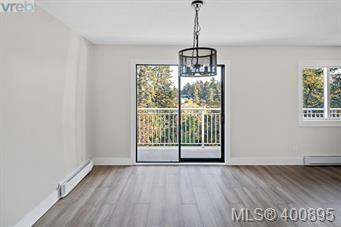 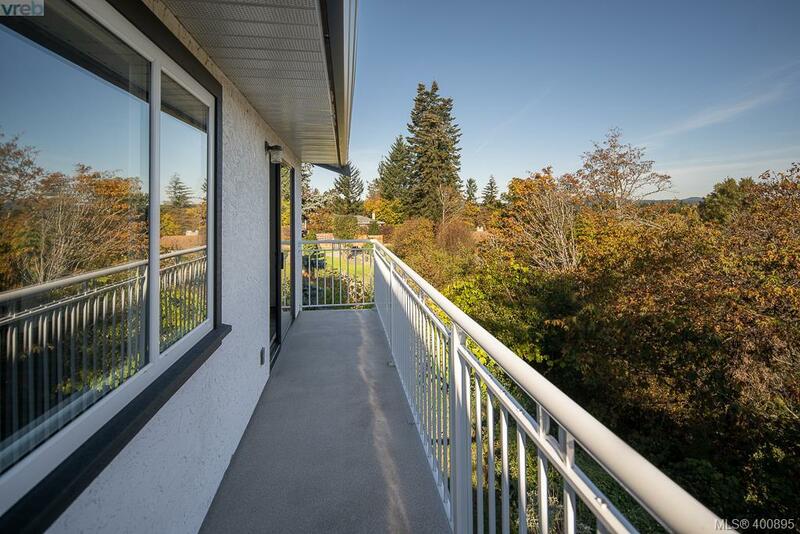 The views are incredible from this home as it sits high up overlooking Colquitz Creek Park. 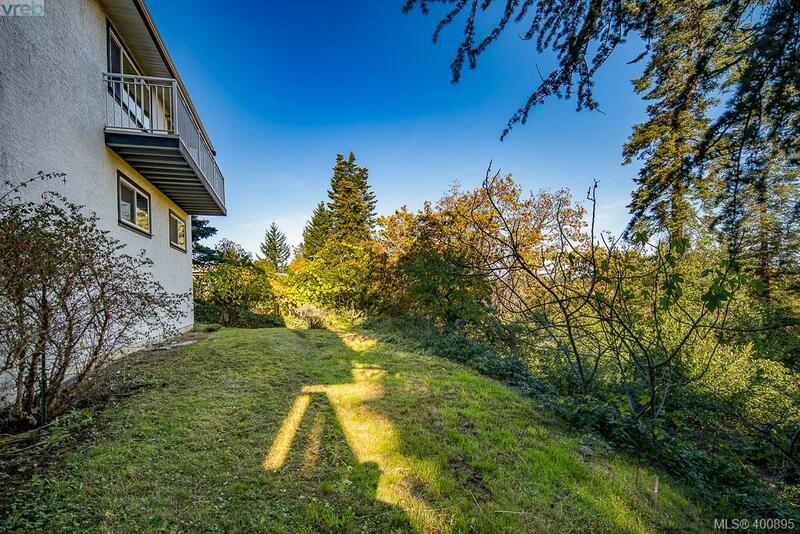 This 8287 sqft yard has fruit trees and plenty of room for gardening. The floor plan offers 2 bedrooms, 1 bathroom up stairs as well as 1 bedroom, 1 bathroom down with another spacious rec room perfect for a media room and has excellent suite potential. 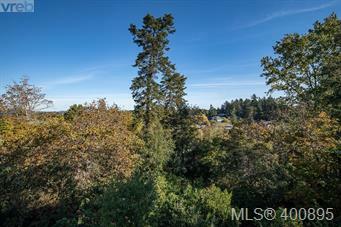 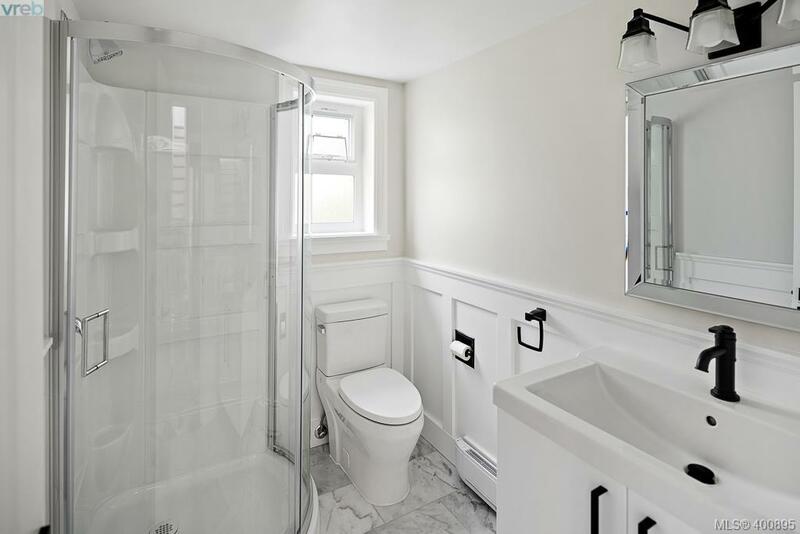 You must see this home to fully appreciate all it has to offer. Call now before its gone.